Outstanding accounts receivables are among the most significant issues that businesses face. 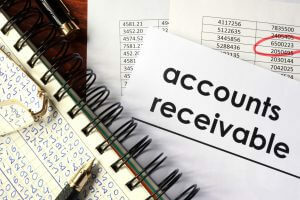 Reducing the time for your account receivables may seem like a distant dream, especially for businesses whose mode of operation is usually credit. While some clients may prefer to pay in advance, usually credit system are commonly used for business deals and often reach a conclusion smoothly, apart from certain instances. Businesses are often seeking answers to reduce their receivables for over 30 days and how to prevent that from happening in the first place. Some of the tips, below, are surely going to help you in this regard. Businesses often have extended lists of terms and conditions, which clients don’t really read anyway. While stating your terms and conditions is a good practice, the terms of payment should be clearly mentioned in bold on the front page. If you want payment in a week, state clearly that you want it then and failing to do so will result in penalties. By writing this, you put your payment policy right in the face of your client, which often pays off and usually results in a considerable decrease in outstanding accounts receivables. A lot of debt collection is based on past precedence. If the company is known for its laid-back attitude for payment collections, chances are that your clients may delay their payments. In addition, some businesses have no system in place for debt collection and are usually dependent on their client’s will. One of the ways to handle this issue is by emailing the invoice 7 days prior to the payment and again 2, 3 days before the payment. It sends a strong signal to the client that you are serious about outstanding accounts receivables and would like them to comply with the company policies. In case someone does not pay up on the specific date, an arrears letter must be ready to be sent on the next day. Even after the letter is posted, you must have a follow-up plan on how to deal with such clients. Everyone in the company must be on the same page and should have a clear picture about the potential course of action. Having a system in place is just not enough when it comes to debt collections. Being proactive means that you have to ensure that the system is being followed properly. Even before that, it is critical to know that everyone understands the SOP’s and are collectively working towards clearing outstanding accounts receivables. Although you have a system in place, there should be a dedicated resource assigned to making phone calls to the creditors. Nothing beats a good phone call when it comes to collecting payments. Having an automated software to manage your bookkeeping needs does wonders for your business. There are many accounting software options that are great for managing everything from your sales invoices to maintaining income statements and balance sheets. Having all of the information about your customers in a software allows it to send and receive critical information at designated times along with improving the efficiency of outstanding accounts receivables which creates a professional image of your company. Automated emails are of great use in this regard. This software allows you to keep and edit notes on specific clients, which is accessible to every member of the collection team as well as other concerned departments. Therefore, everyone will evidently know the current stance of the client regarding their payment. If you have implemented all of the above-mentioned steps and still failed to collect payments, you may need an expert opinion. Debt collection experts will devise a plan based on your business model as they have the skills and proficiency in carrying out such tasks for many businesses. They can help you identify your possible point of failures and also highlight the key pressure points of clients who are the cause for concern. Reputable professional help is a viable option that may be considered, if needed. 5 Key Financial Performance Indicators In Architecture My Business Books are a Mess! How to get Back on Track!